High-performance vehicles demand auto care that’s second to none—and that’s what Fremont drivers will find at our Porsche service center. Porsche vehicles are anything but ordinary, so our factory-trained service team performs inspections, routine maintenance, and simple or complex repairs in a timely manner, such as tire repairs or engine replacements. However, our team never forfeits quality or attention to detail. With us in your corner, you can rest easy knowing your prized Porsche will be returned to you in excellent condition. *Up to $20 reimbursement for ride share expense. 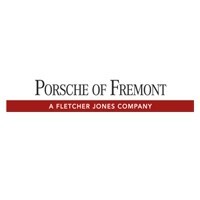 Valid only at Porsche Fremont. Please see advisor for more details. Your vehicle’s guide to superior performance.Be sure to consult your vehicle’s maintenance manual on a regular basis. You’ll find invaluable operating advice, maintenance tips, and service checklists that keep your vehicle performing at its purest and most polished. As an Authorized Porsche dealer, your safety is our top priority. Safe driving requires properly maintained Porsche tires and a properly maintained vehicle, and, of course, paying attention to the road conditions and weather can help ensure safe travels. Quality doesn’t simply reside in how well a part functions at the get-go: it’s a function of how well it performs over time. Genuine Porsche Parts endure because they’re engineered specifically for your car—they fit like no other parts can. Genuine Parts are made from the finest materials and are engineered to work with other components and systems in your vehicle. Confident Traveling: PSMP is accepted at all Porsche-authorized dealerships in the United States, meaning you can travel from San Jose to the East Coast and receive pre-paid service. Locked-In Rates: When you choose a PSMP plan, Porsche maintenance cost and repair cost are locked in until your plan ends. You won’t have to worry about fluctuating prices. Value: Guests who choose PSMP over pay-as-you-go service often enjoy greater savings throughout the duration of their plan. Reassurance: As always, our Porsche Certified Technicians will carry out Porsche auto repair and Porsche maintenance using OEM parts and fluids.